Pictured above - Choice Homes Director Troy Knight presenting Sharyn Watson & Bernie Marsh from Watmar Electrical their monthly award. 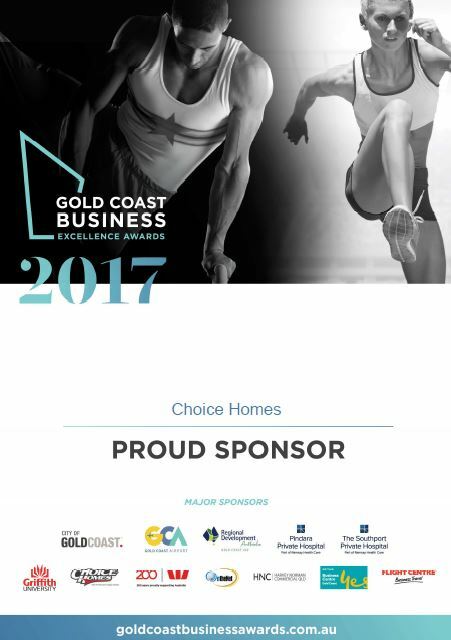 Choice Homes are delighted to give back to the Gold Coast, sponsoring the Emerging Business category for a second year which has enabled ongoing support of a wide variety of upcoming and innovating businesses. Each month, awards are presented in 10 categories. At the end of the year, all the monthly winners vie for annual awards in each category and compete for the Business of the Year Award honour at the black-tie Gala Awards Dinner, held at The Star Gold Coast on Saturday, 25th November 2017. The first entry submissions for 2017 are due by 5.00pm, Tuesday the 2nd May 2017, as Monday 1st May is a public holiday. By participating in the Gold Coast Business Excellence Awards, you are providing your organisation and your employees with a unique opportunity to benchmark your performance against other like businesses. Should you be a winner, then the Awards will provide you with thousands of dollars worth of free advertising and editorial via our Media announcements through our marketing channels, the Gold Coast Bulletin, Gold FM and Sea FM and NBN Television. You will be provided the recognition you so appropriately deserve as well as the opportunity to network with other successful business owners and operators. So don't delay - enter today!! 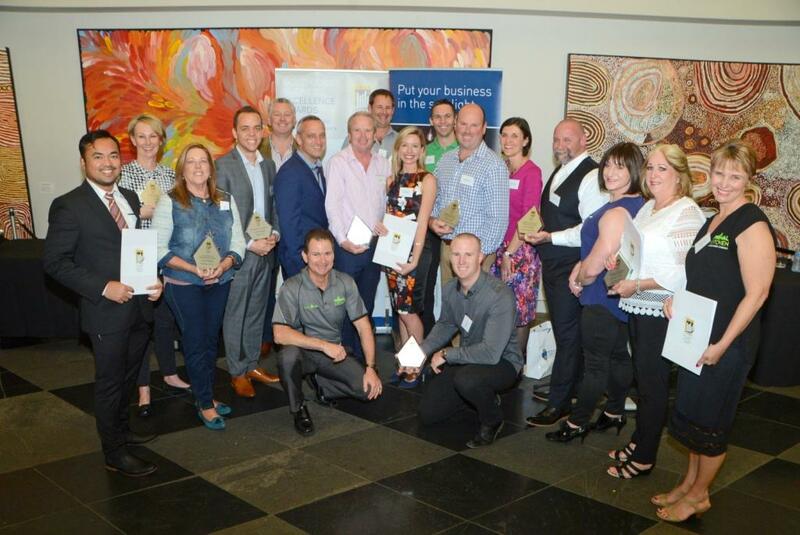 Pictured above - Monthly winners of the Gold Coast Business Excellence Awards. 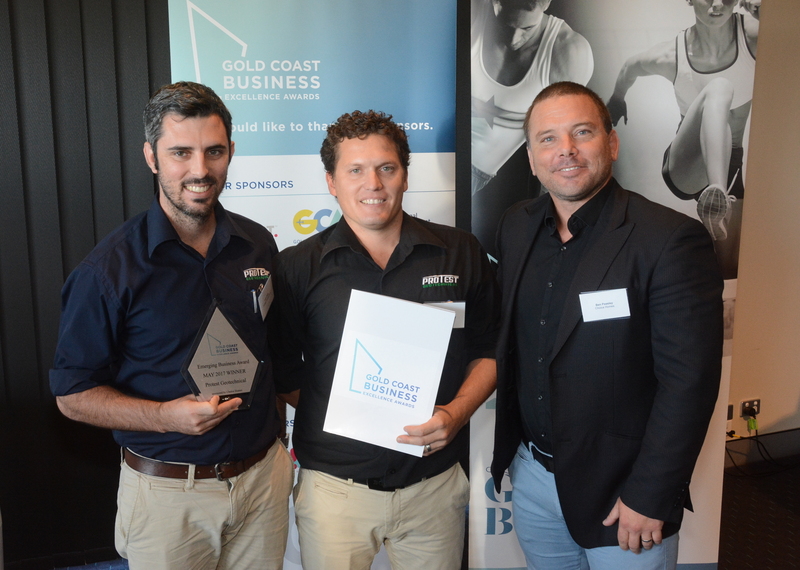 The Emerging Business Award recognises Gold Coast businesses that have been operating between 2 and 5 years and are high growth potential with the capacity to achieve and manage expansion. Applicants should highlight their innovative, unique and strong business practices and how these enhance the businesses continued growth. The Family Business Award recognises long standing family owned and operated businesses that have seen generations of family continue and grow their business legacy. Applicants should demonstrate the integration of the family into the business, and its effect on business practices, culture and division of responsibility. Succession planning, if relevant, should be identified in a hierarchical diagram. To be eligible, the business must be operated by more than one generation. The Health and Wellbeing Award recognises and celebrates businesses meeting the increasing demand for products and services within various sectors contributing toward the health and medical industries. Applicants should highlight the business leading in health and wellbeing excellence, as well as newly introduced technologies that improve their product and service. Applicants may supply products or services and may operate within various sectors contributing towards the health and wellbeing industries. The Professions and Business Services Award recognises and celebrates businesses meeting the increasing demand for such products and services. Applicants should demonstrate their passion for exceeding customer expectations and service excellence within the business and overall team.This category recognises professions (eg medical, legal etc) through to business service sector industries. The Retail, Wholesale and Distribution Award acknowledges businesses that remain abreast with this evolving industry sector as customer demands and expectations are changing the game. Applicants should highlight that they truly understand their customer and demonstrate how they provide seamless customer experiences, across all channels.To be eligible, applicants must be in either the retail or wholesale or distribution sectors. Franchisors as well as Franchisees operating in any one of these sectors are eligible. The Manufacturing Award honours manufacturing businesses on the Gold Coast who lead and shape the future in this industry sector. Applicants should demonstrate achievements across a wide variety of areas including the readiness of new technologies in sustainability, operational excellence, innovation and supply chain management. The Construction and Trades Award celebrates and acknowledges the construction industry that underpins the City's economic base. Applicants should highlight the quality of the business' attention to detail in finishing and overall craftsmanship. The business should demonstrate new and improved innovative techniques and solutions in this industry sector. Trade applicants should demonstrate the technical ability of the trade contractor and challenges overcome in construction.To be eligible applicants must be either in the construction or trades sector, including any applicant that subcontracts to the construction sector, ie electrical, plumbing. etc. The I.T., Knowledge Management and Digital Services Award is the recognition of Gold Coast businesses demonstrating outstanding knowledge management based, information technology products and services. Applicants should highlight their smart technology product or service and how it benefits everyday life and impacts the businesses bottom line. Today we live in the Information Age. Knowledge management underpins almost all services today, and the effective management of knowledge distinguishes companies in I.T., supply chain management and logistics. Excellent information technology, knowledge management and digital services based businesses may exemplify this in their own business, or enable and enhance the practices of other businesses through their I.T., logistics or supply chain solutions. The Tourism, Hospitality and Events Award celebrates excellence in destination and stewardship management. As Australia's premier tourism and hospitality destination, the applicant should highlight the business offerings and experiences and how these are promoted to markets locally, nationally and internationally. In addition, the applicant must demonstrate how it has worked exceptionally in any aspect of tourism including technology, sustainability, socially and culturally.To be eligible for this diverse category applicants must be in the tourism, hospitality, recreation and leisure industries. Businesses conducting events are also eligible to apply. The Mayor's Innovation GC Award accolades businesses that have applied innovation through new knowledge, technologies, methodologies or processes to improve the effectiveness or quality of outcomes for their clients, community and/or the public sector. Applicants should validate their innovation through their use of new technologies, data analytics, modelling or visualisation. Applicants need to demonstrate significant innovation in either management and/or business practices or in their products or services. Applicants need to be able to show how this innovation has given them a "competitive edge" in the market place. The Encouragement Award is recognition of a company who has been selected as a finalist of the Awards during the year and shows great promise of future growth. This award is nominated by the committee and presented at the annual Gala Awards Dinner. Applicants are unable to enter this award category. Pictured above - May 2017 Winners of emerging business Protest Geotechnical and Choice Homes Marketing Manager Ben Peasley.